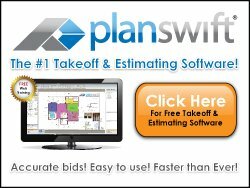 Once you have entered your take-off into your electrical estimating software and it has helped you make all your labor calculations, you must create a "deliverable" to present to your customer. I like to call this deliverable a "bullet-proof" proposal. The reason that I use the term is because you do not want to have any holes in it. As part of your proposal, you want the customer to know exactly what is included in your price. You do not want your customer coming back to you in the middle of the project saying that they thought that the $1,200.00 gas bill to fill up the back-up generator was included in your price. You get the point. A professional proposal must contain exact language specifying the work and materials you are including, what you are excluding and qualified items. In other words, your proposal must contain Inclusions , Exclusions , and Qualifications . The proposal is a reflection of your company - I often find that electrical contractors discount the importance of having a sharp and crisp looking proposal. This is a BIG MISTAKE. It may not be critical to pay close attention to the proposal presentation sent to existing customers. But, to grow your business you also need new customers and your proposal will be one of the items you will be judged upon. You also never know who your customer may show your proposal to. Imagine that you are the recipient of the proposal that you are presenting to your customer. 1) What does it say about its presenter? 2) If your Proposal is sloppy or messy looking, isn't that a reflection of the level of work that you do? 3) Doesn't that represent your lack of attention to detail? 4) Does the presenter appear to have the capability of starting and completing the job in the specified job duration? Make your proposal shine. Think of it like this, the proposal represents your company's ability to complete the job and the quality of work that you deliver. 1) Offer a brief summary of the project scope of work. Example: Project consists of new construction of a 4500 Sq Ft, 2 story office building. 2) Always use a template with a logo or letterhead. Do NOT hand write a Proposal. 3) Do not use terms like ALL or Everything in your Proposal. All means all, and if you say all, that means everything. 4) Indicate the time frame during which your price is valid (15 days? 30 days? 45 days?). 5) Be sure to provide correct, complete contact information about you or your company so your customer knows who to contact. Include name, title, address, phone, fax, email, level of authority, etc. Offer a list of references upon request. Make sure that the people that you refer agree to taking phone calls for this purpose. 6) Detail what is included (Inclusions), what is excluded (Exclusions), and use Qualifications to help describe what your price includes. 7) Make sure that you check for misssspelled woorrds! Remember that you are offering a partnership between you and your customer. Preparing a great proposal is an integral part of electrical estimating. Make sure that the offer is attractive in every way!